Preparations to mark the 50th anniversary of New Zealand’s involvement in the Vietnam War are well underway, with 35 veterans selected to attend a special service in Australia, Veterans’ Affairs Minister Craig Foss says. Mr Foss, the 35 veterans and three official Vietnam War representatives will travel to Canberra for the commemorative service on August 18. “Nearly 300 veterans entered a ballot to attend the Australian service. The 35 chosen represent a cross-section of the 3800 New Zealanders who served during the Vietnam War,” Mr Foss says. Vietnam War veterans and family representatives marching to Parliament in the Tribute 08 parade in May 2008. 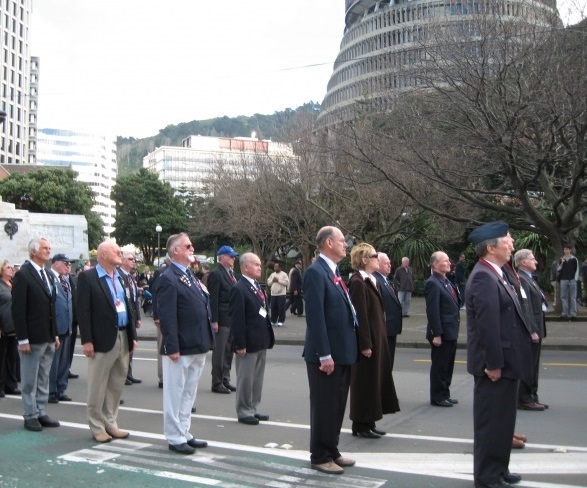 In Wellington a short wreath-laying ceremony will be held at Pukeahu National War Memorial Park, followed by full commemorative service at the nearby Michael Fowler Centre. “Preparations for the service are progressing well. I encourage the families and friends of our Vietnam veterans to join us as we remember their service and sacrifice,” Mr Foss says. Family members of the fallen can telephone 04 817 8910 or email vco.rsvp@dia.govt.nz with ‘Vietnam NWM’ in the subject line by 11 August to confirm their attendance at the National War Memorial.